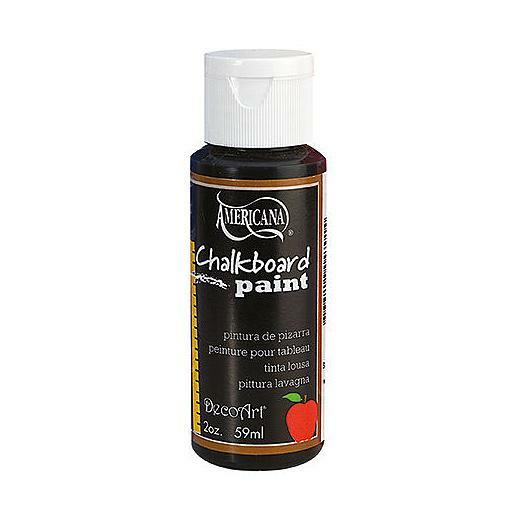 DecoArt Americana® Chalkboard Paint transforms most surfaces into a chalkboard. Apply one coat vertically, then one coat horizontally. Allow 1 hour drying time between coats. Cure for 24 hours. Lightly run chalk over the surface to condition. Coverage - approximately 5 sq. ft. Soap and water clean up.